Overall size: 53 x 37 cm. Image size: 41.8 x 28 cm. Description: Antique print titled ‘Recurvirostra’. 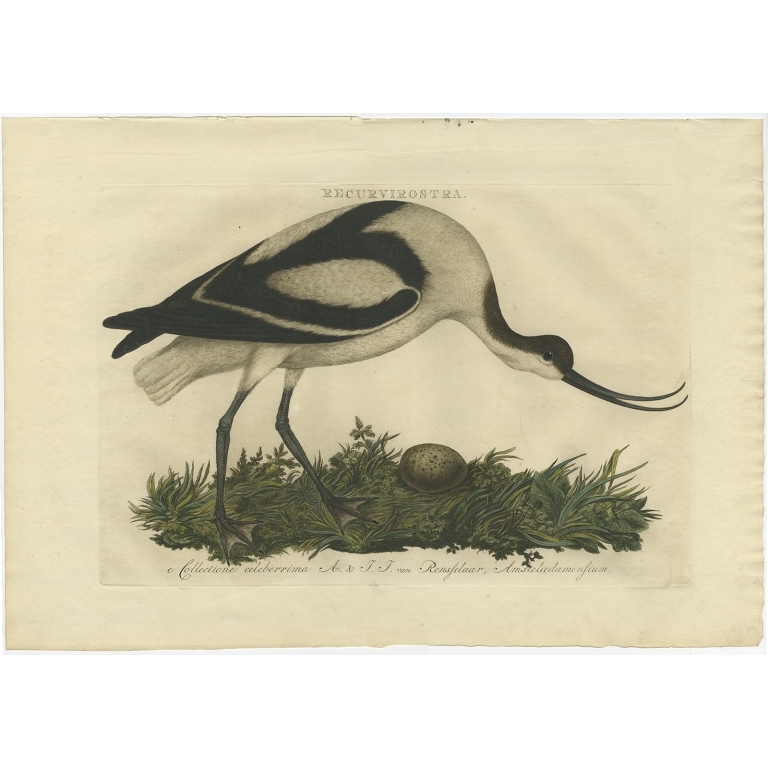 This print depicts the pied avocet (Dutch: kluut). The pied avocet (Recurvirostra avosetta) is a large black and white wader in the avocet and stilt family, Recurvirostridae. They breed in temperate Europe and western and Central Asia. It is a migratory species and most winter in Africa or southern Asia. Some remain to winter in the mildest parts of their range, for example in southern Spain and southern England. 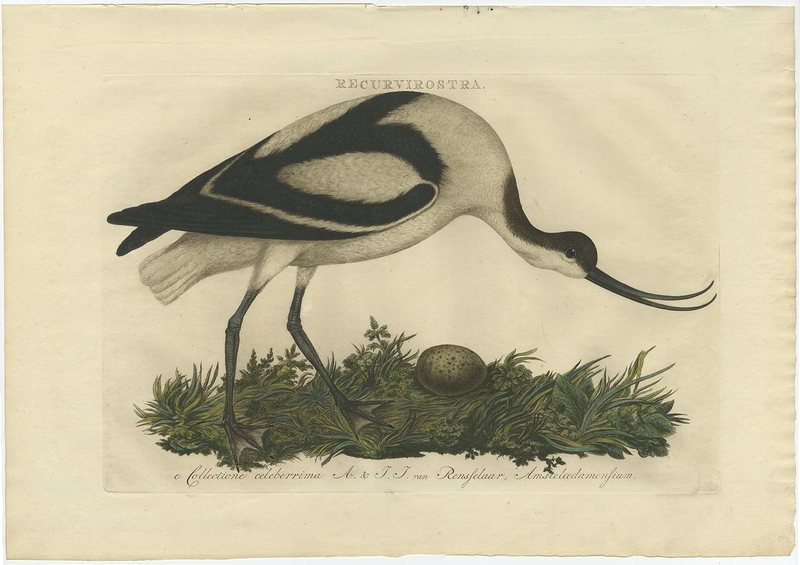 This print originates from 'Nederlandsche Vogelen; volgens hunne huisdouding, aert, en eigenschappen beschreeven", Amsterdam, 1770-1829 by C. Nozeman, M. Houttuyn and J.C. Sepp. This is the most important and first study in the Netherlands of ornithology at that time. The birds are depicted as they are in life, said to be depicted close to life sized and in their environment. Artists and engravers: This monumental work is associated with Christiaan Andreas Sepp, Jan Christiaan Sepp, Jan Sepp, Cornelis Nozeman, Martinus Houttuyn and Coenraad Jacob Temminck.